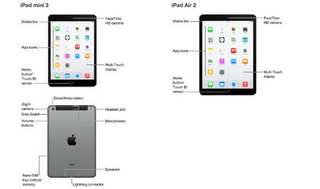 Just as we suspected, a new iPad Air and an iPad Mini are forthcoming. Over on 9to5Mac, Mark Gurman reports that the user guides to two new iPads are showing up—by accident—in iTunes. And yes, Touch ID is coming to both devices, if these guides are to be believed.